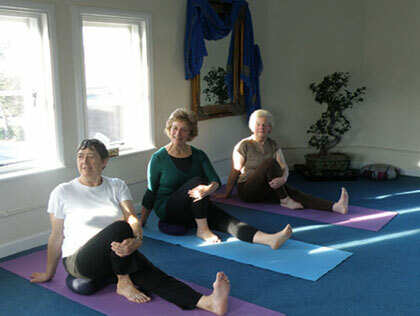 Gentle Yoga Classes are suitable for any level including beginners. This is a very gentle and slow paced class where the use of props and ways of working enable yoga to be easily adapted to the needs of every individual. Students who experience difficulty in moving from the floor to standing position or from standing position to the floor will be able to work from a chair. This class will have more emphasis on stretching, breathing and relaxation.